Since 2013, Russia has banned smoking in restaurants and taken serious measures to reduce its huge number of smokers. Now, drastic proposals aired this week could put Russia on course to try and eradicate the habit altogether. The Russian Health Ministry on January 9 proposed a blanket ban on the sale of cigarettes to anyone born after 2014 — even when they reach the current legal smoking age of 18. The ban would thus take effect in distant 2033, when President Vladimir Putin, at the age of 81, could hypothetically be serving a fifth term in the Kremlin. The revolutionary proposal was contained in the draft Antitobacco Concept signed by Health Minister Veronika Skvortsova and leaked to the pro-Kremlin newspaper Izvestia on January 9. The document. which outlines government efforts to curb smoking from 2017 to 2022, still requires the approval of the government and has been circulated to 18 other government agencies for review. Other proposals in the document include: banning smoking in cars in the presence of children; allowing employers to make employees work additional time to make up for cigarette breaks; and placing health warnings on individual cigarettes. The proposal of a blanket ban for future generations prompted a flood of commentary, although presidential spokesman Dmitry Peskov told TASS that the Kremlin has not yet taken a position on the Health Ministry’s proposal. Various experts warn the ban could create a thriving black market for unlicensed cigarettes. Olga Beklemishcheva, an activist for smoker’s rights, said cigarettes would be bought in the same way that recreational drugs like the synthetic drug known as “spice” are in Russia today. The proposal has raised eyebrows in the State Duma where Dmitry Morozov, head of the parliamentary health-care committee, said it was “in need of discussion.” In comments to the RBK news agency, Morozov said that “in principle, it would be best to steer people away from bad habits” instead of imposing a ban. 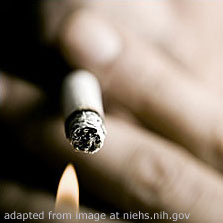 Every year, according to the Health Ministry, 300,000 to 400,000 Russian citizens die from smoking-related illnesses. TASS cited the Health Ministry as saying that smoking among youth aged 13 to 15 fell from 25.4 percent in 2004 to 9.3 percent in 2015.